“To have a raven’s knowledge” is an Irish proverb meaning to have a seer’s supernatural powers. The raven is considered to be one of the oldest and wisest of all animals. 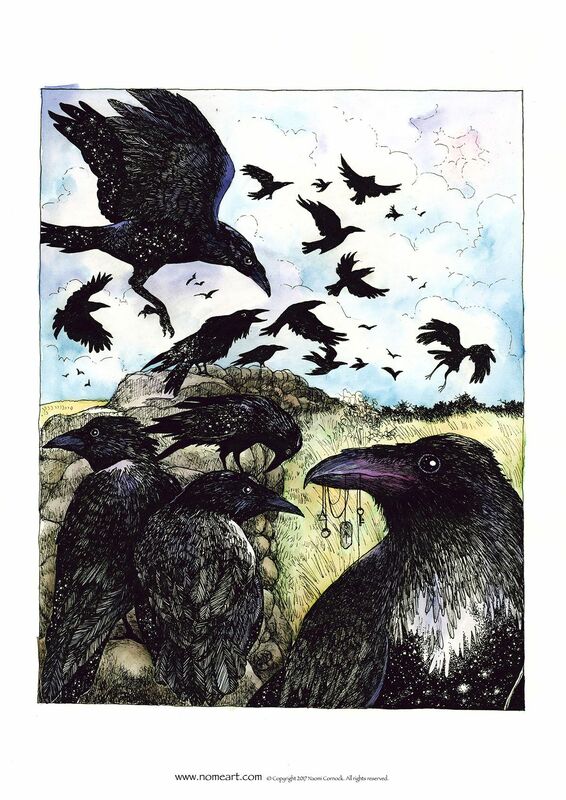 Ravens were the favorite bird of the god Lludd, the Celtic god of artists and artisans. For many shaman traditions ravens represent the ability to travel the hedge and reach behind the veil. In Norse mythology there are two ravens, Huginn (meaning thought) and Muninn (meaning mind), accompanying the god Odin the ‘All Father’ or also known as the ‘Raven God ’. They would fly around the world bringing back news to Odin. 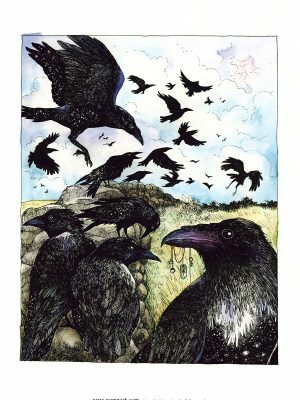 Ravens across all the Northern European pagan traditions are also seen as harbingers of battle, often depicted with war and warrior gods such as the Morrigan in Irish mythology and The Valkyrie in Norse. To Raven I ask, guide me behind the veil to travel the hedge.